WOAH!!!! It appears that Target may have made a BIG mistake which you can take advantage of RIGHT NOW (I cannot guarantee how long this will last!!) This is not supposed to be released until Jan 1!!! 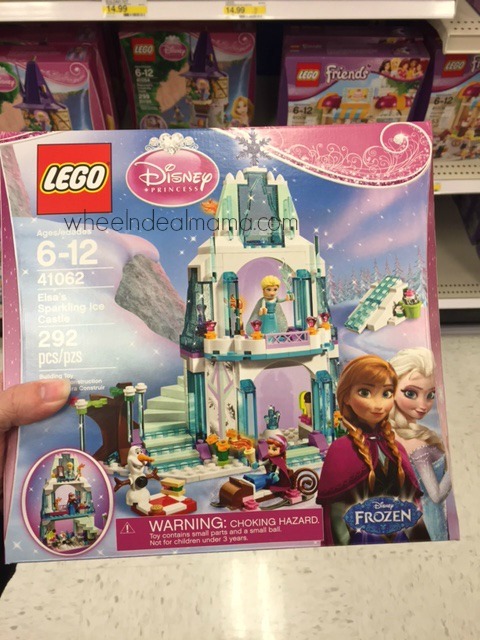 Several Targets have put the Disney Frozen Elsa’s Sparkling Ice Castle ON SHELVES already. I was just able to get one at my local Target (last one on the shelf!!) Price is $39.99. Here is how you can check to see if your store has them — go here and enter the DCPI: 086-14-2474 and your zip code. Even if it says it there are none available, it is worth having them check in store. But I did the check, it said one available, I went there and there was ONE. So RUN!! I suggest going TONIGHT if you can! Thank you SO much!!!! This tip lead me to a Target in my town where there was one available. My 5 yr old little Anna will be so happy.